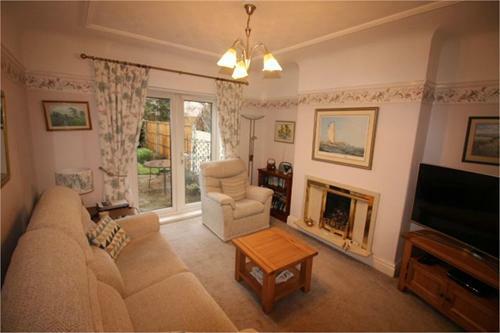 A charming CHARACTER property which has been EXTENDED to the ground floor. 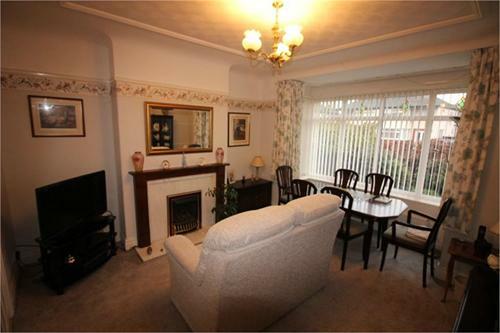 The property offers spacious accommodation whilst having the benefit of being situated within a corner plot. Viewing is highly recommended. 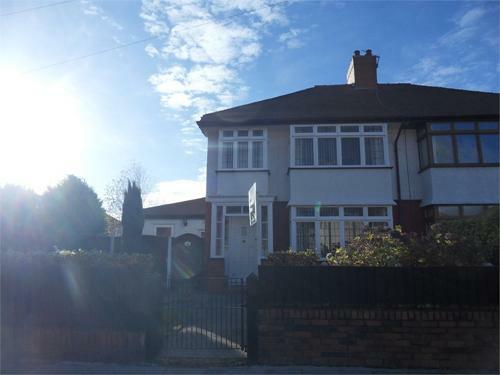 Briefly comprises of open porch, hall, dining room, lounge, extended kitchen, morning room, conservatory and WC to the ground floor together with three bedrooms and family bathroom to the first floor. 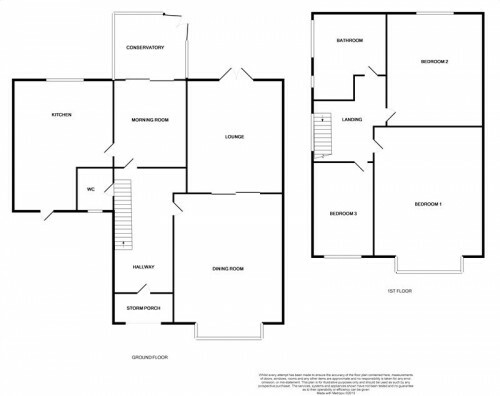 Outside are good sized sunny gardens to the front, side and rear with timber shed and driveway affording parking for several cars to the rear. Open entrance porch, tiled floor. UPVC double glazed entrance door and windows, feature lead light window to side. 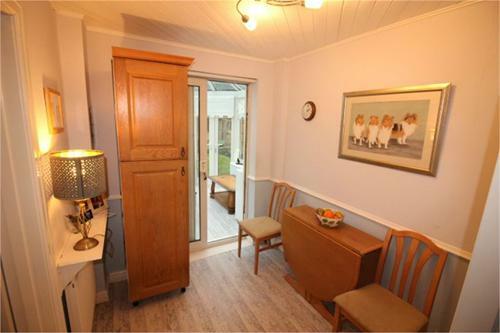 Radiator, meter cupboard, under stairs storage cupboard. Low level WC, wash hand basin. Wood effect flooring, radiator. Cloaks cupboard. UPVC double glazed window to front. 4.01m x 4.74m (13' 2" x 15' 7") UPVC double glazed French doors, Gas fire with surround. Radiator. 2.98m x 3.01m (9' 9" x 9' 11") UPVC double glazed French doors leading to conservatory. Radiator, wood effect flooring. 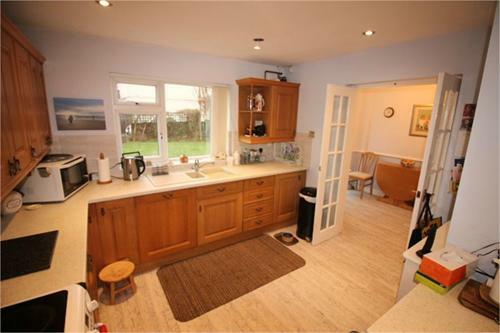 4.52m x 3.75m (14' 10" x 12' 4") Extended kitchen. 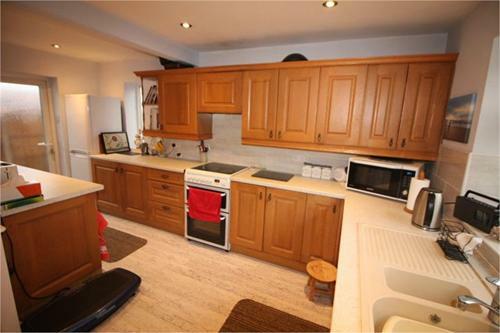 Comprising of units incorporating worktops inset with stainless steel sink unit with tiled splashbacks. Integrated dishwasher, space for fridge/freezer, plumbing for washing machine. Space for electric cooker with extractor fan over. Tiled floor, UPVC double glazed window to rear and door to front. Wall mounted gas central heating boiler. 2.98m x 3.41m (9' 9" x 11' 2") UPVC double glazed windows and doors to side. Tiled effect flooring. Feature UPVC double glazed window. 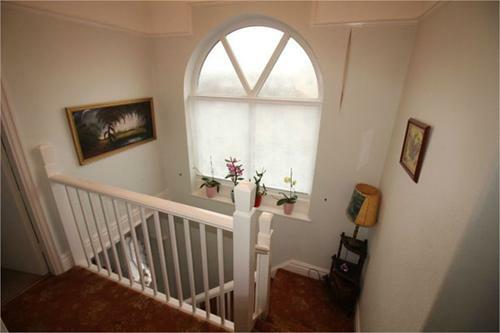 4.25m x 3.89m (13' 11" x 12' 9") Glazed feature bay lead light window, radiator. 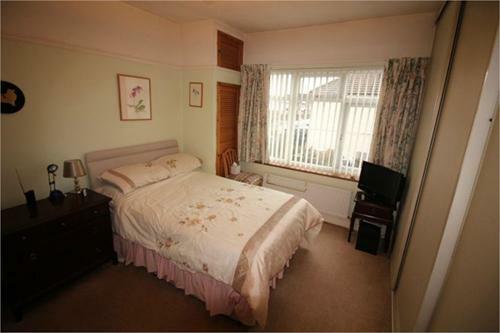 3.45m x 3.99m (11' 4" x 13' 1") UPVC double glazed window, radiator, fitted wardrobes. Cupboard housing water tank. 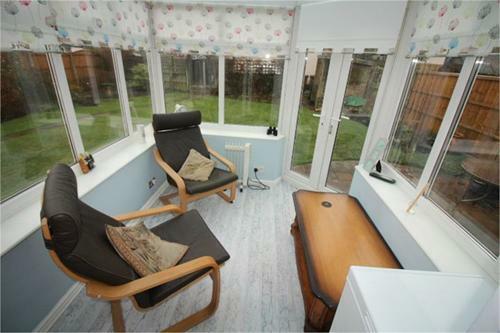 3.10m x 2.50m (10' 2" x 8' 2") Feature bay lead light window, radiator. White suite comprising of panel bath, separate shower cubicle. 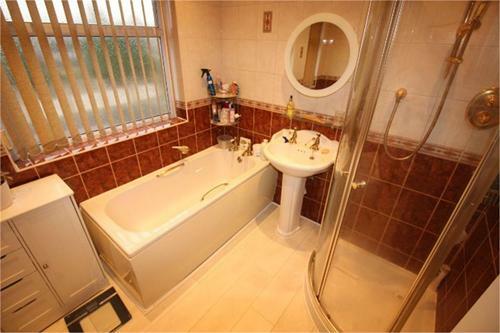 Low level WC, wash hand basin. 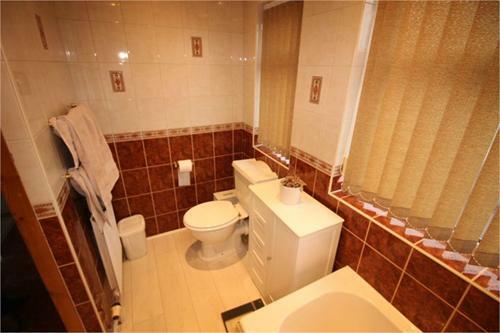 Fully tiled walls, UPVC double glazed windows to side. Loft access. 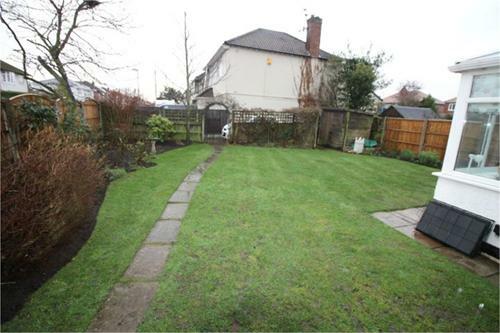 A particular feature of the property is the rear garden, offering a sunny south/west facing rear and side garden. Indian stone patio areas, herbaceous borders. Having the benefit of being directly overlooked. 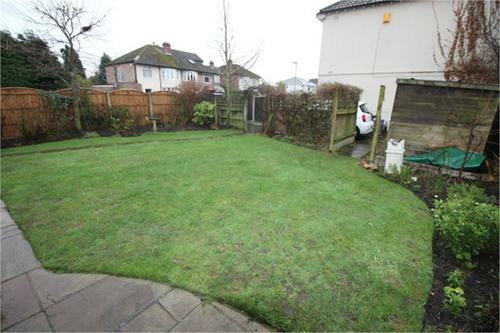 Side garden with timber shed and gate leading to front. Driveway to side affording parking for several cars.